Instigated by the renewed interest in the Vietnam War, photographer Cade Martin revisited his recent portrait series of pilots who flew in that war. As young men they had a unique vantage point flying over the conflict below, and or years they have kept their experiences and opinions to themselves. Until now. Cade and his 'always creative' producer Kate Chase brought us in to help shape a story around the portraits. 'Over War' is the resulting theme/platform–they flew over the war, now, are they over the war? 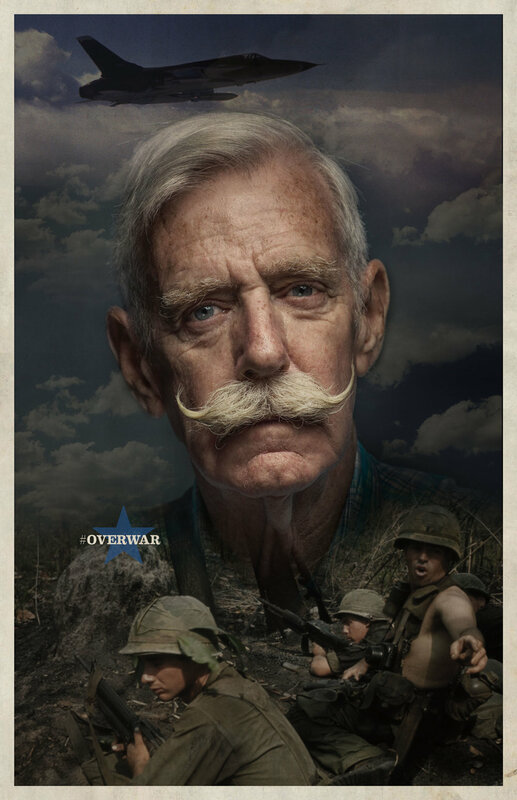 Over War is a moving portrait series that offers a final opportunity for these men to tell their stories.